THE SKINNY: Glossybox has turned me on to Bvlgari with three items in recent boxes (but that's enough now Glossybox, mix it up some!). 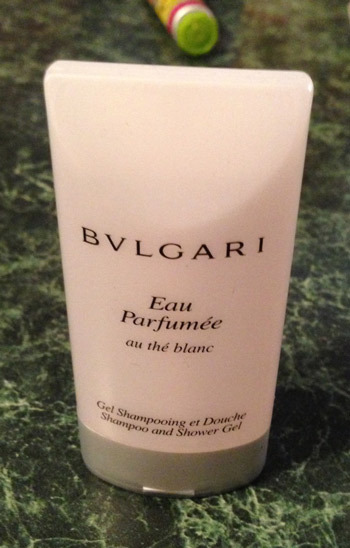 The Bvlgari Eau Parfumee au the Blanc Shower Gel is a luxury product for sure. It has a great light but intense aroma (if you can imagine that). You can smell it a lot more during use that afterward. This is not something I would use every day, because it is very pricey and perfume-based shower gels just don't seem to do enough for my skin. KEEP OR TOSS: Keep. Little goodies like this are a perfect pick-me-up for a relaxing shower or for use during travel. CHECK IT OUT: You can buy direct from Bvlgari online.